We're in Brisbane for the school holidays and I got a little daiwa gshock rod and reel to have some fun with and then got these on Bribie Island. Please advise on species? 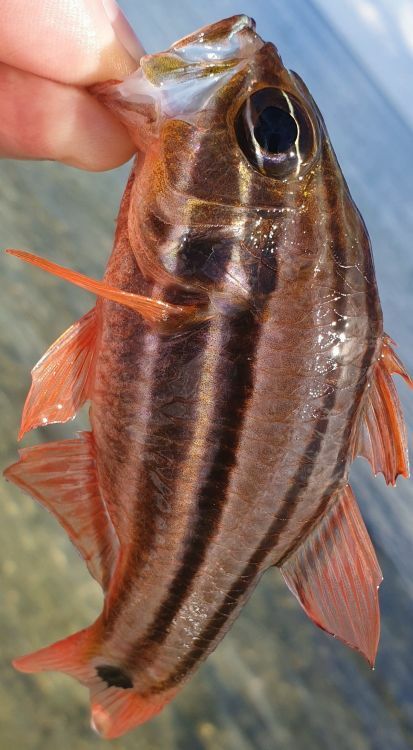 Looks like a Sydney Cardinalfish.